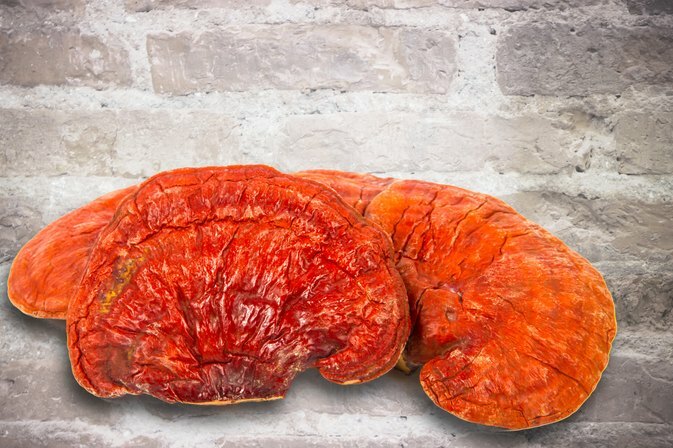 The lingzhi mushroom, also known as the red reishi mushroom, was revered in ancient Eastern medicine and hailed as the "mushroom of immortality" and the "medicine of kings." The scientific name for the lingzhi species of mushroom is Ganoderma lucidum. According to Memorial Sloan-Kettering Cancer Center, this species of mushroom has been used to treat a variety of disorders over several centuries. Because the lingzhi mushroom is considered an alternative medical treatment, a physician should be consulted prior to treating any condition with the lingzhi mushroom. Consumption of the lingzhi mushroom may have a positive effect on high blood pressure. According to the publication "Alternative Medicine: The Definitive Guide," a study was conducted on several hypertensive individuals who had previously not responded to conventional blood pressure treatments. The results of the study revealed a significant drop in blood pressure in the individuals who were introduced to lingzhi mushroom extract 3 to 4 times per day. The lingzhi mushroom has also been proven to be effective as a treatment for rheumatoid arthritis. According to the July 2007 "Molecular and Cellular Biochemistry," a study conducted at the Department of Pharmacology at the University of Hong Kong revealed the presence of a polysaccharide peptide in the lingzhi mushroom greatly inhibited the proliferation of rheumatoid arthritis synovial fibroblasts. Rheumatoid arthritis synovial fibroblasts are specialized cells that surround the joint and release oxygen-derived free radicals that promote damage to the affected joint. Consumption of the lingzhi mushroom has also proven to be a beneficial treatment for sarcoma. Sarcoma is a form of cancer that arises from malformation in various tissues such as bone, fat or blood vessels. According to Medical News Today, a study conducted by Pharmanex BJ Clinical Pharmacology Center in Beijing revealed positive effects against sarcoma when the active ingredients of the lingzhi mushroom are combined with the active ingredients of green tea. The study showed this combination to have synergistic effects to inhibit the growth of sarcoma tumors and delayed the time of death associated with these tumors. The study also showed that the effects of the lingzhi mushroom alone did not produce the same anti-cancer effects and that the green tea component was necessary for the anti-cancer benefits.